Delivery service Deliveroo recently shared numbers on the most popular restaurants and dishes as ordered by locals in Amsterdam. Turns out: The Poké bowl is the hottest item in town! 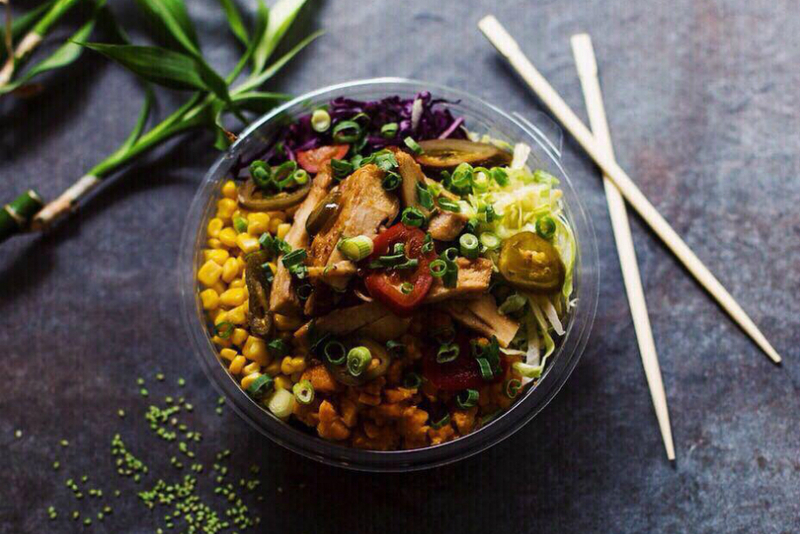 Time for us to share the best places in Amsterdam to get these bowls of goodness with you. 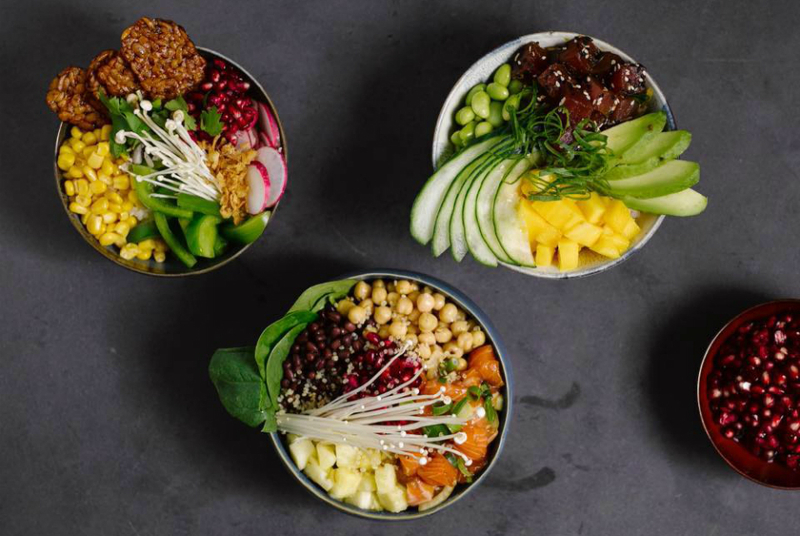 These are the 10 Best Poké Bowls in Amsterdam. 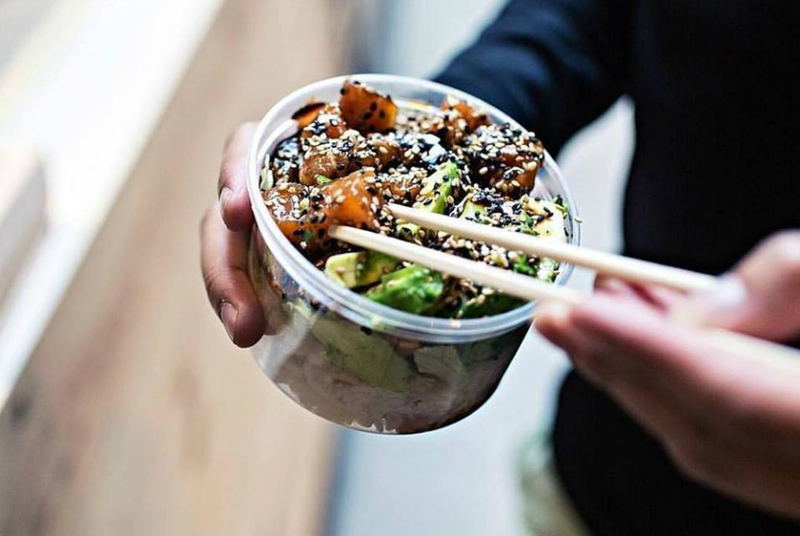 If you have never tried a Poké Bowl or don’t even know what it is, let us explain. Some may call it “sushi in a bowl”, since it consists of sushi rice, raw fish and all sorts of toppings of your liking. Funny thing is: it’s actually not from Japan but originally a Hawaiian dish. 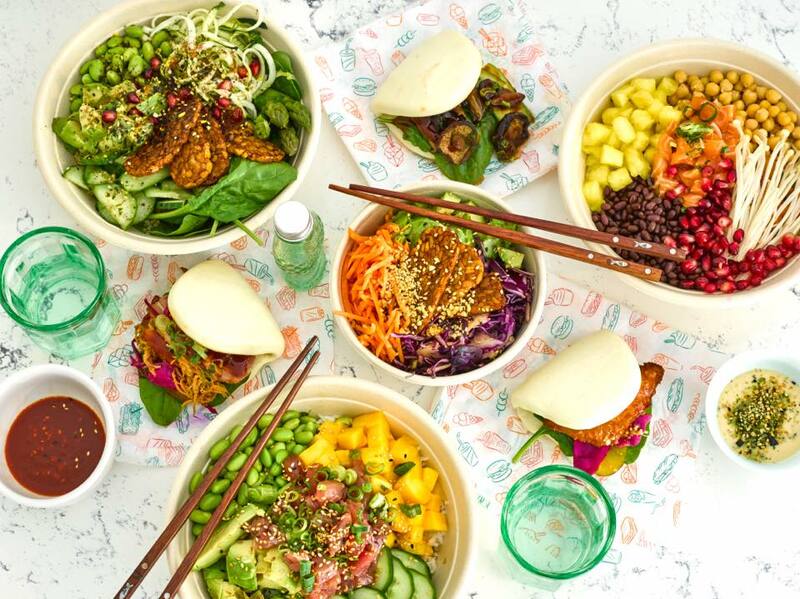 The most ordered Poké Bowls in Amsterdam are the ones from Temakery. 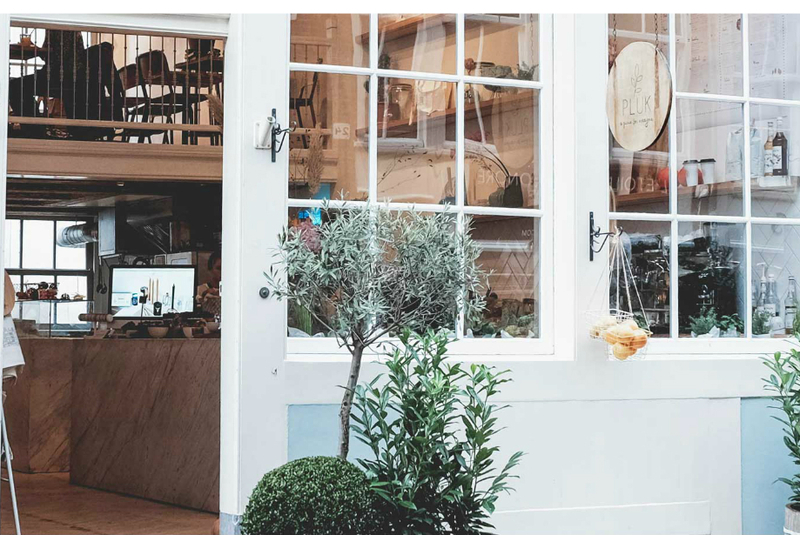 This hotspot is located near the famous Albert Cuyp Market and makes for a perfect spot for a healthy lunch or dinner after a day of shopping. Their menu is a mix of different Japanese dishes. Of course, you should try one of their bowls but the Sushi Wraps and Japanese Chicken Wings are also worth to mention! 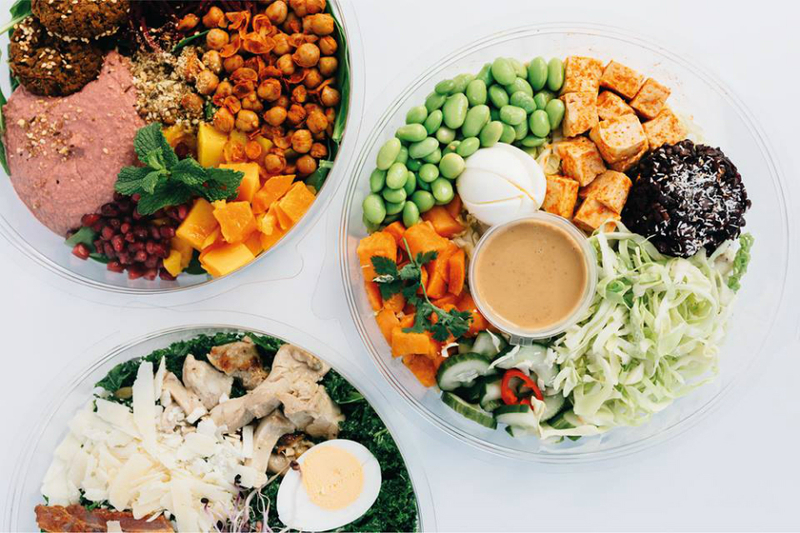 For the bowls you can choose one of the menu, like the popular Hawaiian Classic with Ahi Tuna or create your own with their extensive list of fresh toppings. 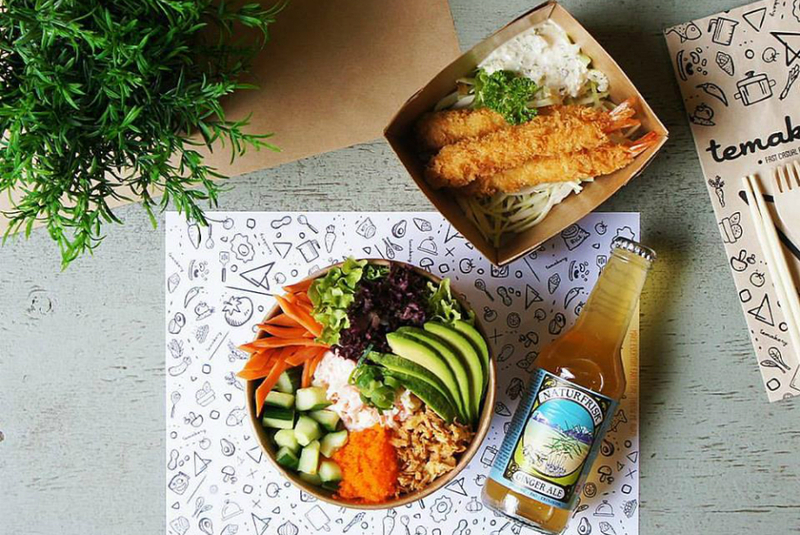 Poké Perfect is slowly taking over the city with their perfect bowls of goodness. With four restaurants in Amsterdam you’ll always have one near you for lunch or dinner. They have a selection of signature bowls as well as create your own options. Our favorite: The Witzel with Salmon, avocado, cucumber, spring onion and orange masago topped off with sesame seeds and their signature Poké Ponzu sauce. Next to that, the locations on the Nieuwendijk & Zuidas serve delicious breakfast. Think yoghurt or acai bowls topped with fresh fruits, granola and all sorts of nuts. Sushito is one of the favorites in Amsterdam for both Poké Bowls and Sushi Burittos. The story: Eduardo wasn’t able to roll his famous burritos because he couldn’t find Mexican tortillas. Akihiro offered to make sushi for them but Ailani wanted to make a poke bowl instead and Eduardo complained that he didn’t want to eat with chopsticks. They decided to combine all their ideas and then in that moment, SUSHITO was born. Yeh, their classics are good but we recommend you to create your own bowl or roll here. Their list of toppings is amazing! 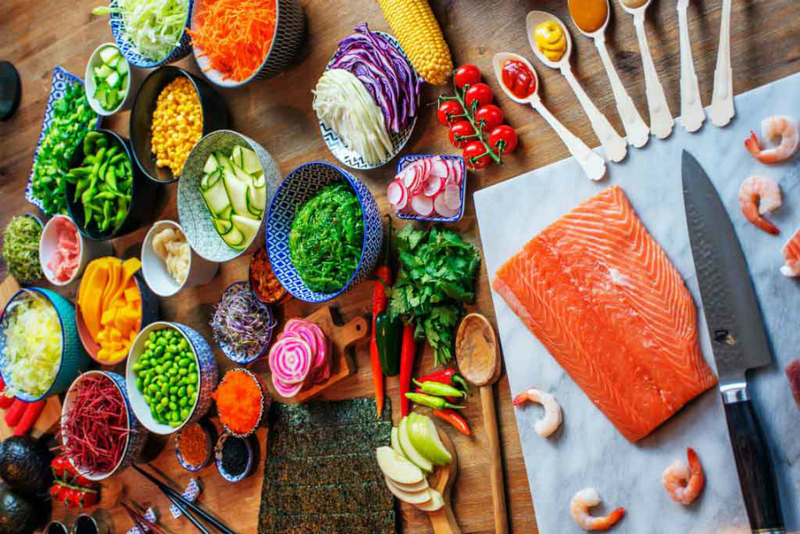 From different types of protein and vegetables to all sorts of sauces and crunchy additions like Nori Tempura Crisp and fried onions. PLUK is a household name in Amsterdam when it comes to breakfast and lunch. This bright spot is located in the vibrant 9 streets, offering delicious healthy dishes, juices and freshly brewed coffee. Next to that their restaurant is filled with cute gift items and delicacies to take home with you. On the menu you’ll find sweets & treats like pancakes, different styles of eggs and granola yoghurt. But what many don’t know is that they serve a mean poké bowl as well! 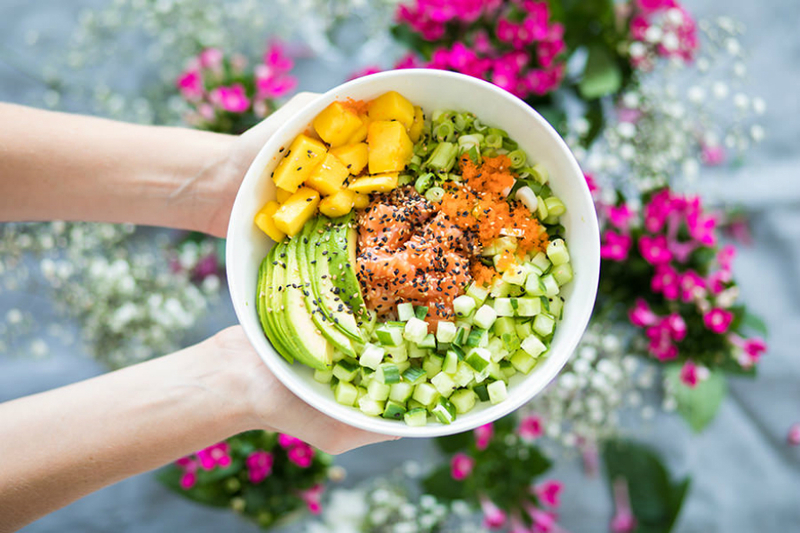 Their Poké Bowl Paradise comes with Salmon, Avocado, Mango, Edamame Beans and a Japanese sesame dressing. A fresh juice to go with that and you’ll have a perfect healthy lunch. Bowls & Buns is an all day spot for healthy, flavorful brunch and dinner. A favorite for lunch is one of their delicious smoothie bowls. But if you rather start of with one of their pokés or bao buns, that’s an option as well! You can choose between steamed rice or quinoa, if you want to make your bowl even healthier. Their toppings like black soy tempeh and steamed garlic shrimps are packed with flavor and will make your bowl into something special. The steamy and fluffy bao buns are also really worth trying. How about Slow Cooked Pork Belly or Peking Duck filling? Or our favorite: The Crispy Shanghai Chili Chicken. The Poké Market is quite new in town and probably one of the cutest spots in Amsterdam. 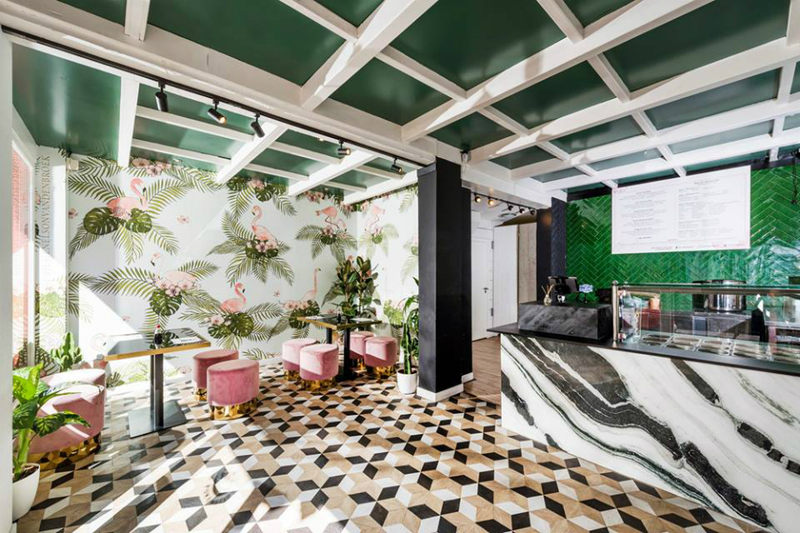 Their tropical interior will have you feel you’re in Hawaï for the moment. A definite favorite is the Gamba Wonderland bowl, topped with tempura garlic shrimps, seaweed, papaya and sriracha. Next to the bowls, they also serve Sushirrito’s and a number of tasty side dishes like Yakitori Chicken Skrewers and Tempura Shrimps. Mr. Temaki is located at the Foodhallen Amsterdam and offers Japanese street food with a modern twist. Expect there to be delicious Yakitori from the grill, loaded sushi hand rolls and, of course, poké bowls! First, try their Tempura Shrimp hand roll, that comes with creamy wasabi sauce and avocado. Second, the Spicy Tuna bowl with creamy ‘n sweet sriracha sauce. It’s the best! With over 10 locations in Amsterdam, offering an amazing selection of home-made delicacies, Stach is one of the fastest growing market chains in town. Their assortment consists of everything from sweets to healthy salads and delicious sandwiches. Most of their shops also have a seating area, perfect for brunch or a brief coffee break. 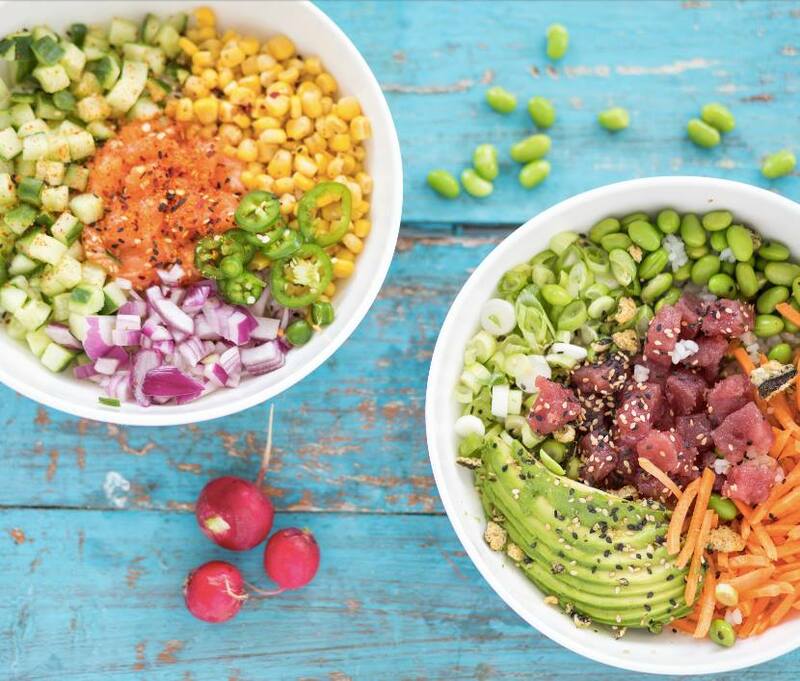 On the menu and in the shelves you’ll find their tasty Poké Bowl stacked with veggies. Perfect to eat in or take home with you! Have a look at their website for all different locations. Sushilee offers delightful Japanese dishes with the use of fresh and tasty ingredients. Their seasonal menu consists of authentic flavors with a innovative twist. The sushi sets and small dishes like Wagyu Beef Skrewers and home-made Gyozas are delicious. But a true favorite is their loaded Chirashi Poké Bowl with Salmon, Tuna, Snow Crab, Shitake, Avocado, Egg and Nori. Pair that with a good glass of wine and you’ll be in for a treat! Ritos is another one mixing the Mexican, Japanese and Hawaiian cuisine. Their menu is filled with tasty Poké Bowl and Sushi Burrito options. The Beefy Salim Roll with spicy pulled beef, avocado and jalapenos is a favorite on the rolls. Rather have a bowl? The California Sunset with Crab, Salmon, Avocado and Cucumber is delicious! You can order either via Deliveroo and Thuisbezorgd or head over for a take away. Now you know where to go and what to order at our favorite Poké restaurants. If we missed out on your favorite spot to get this tasty dish, let us know!